This craft is SUPER simple and uses stuff you might already have in the house! 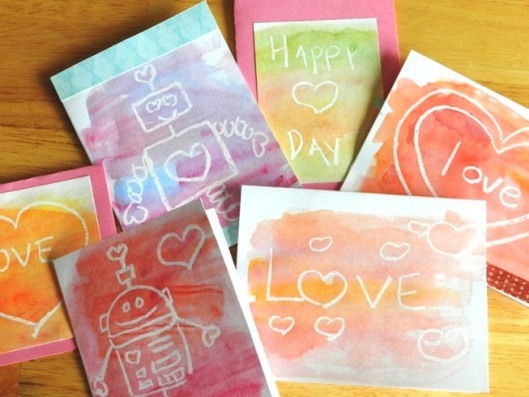 Gather up your watercolor paints, a paintbrush, a white crayon, and some paper. Draw something out on the paper in white crayon. Paint over the paper with your watercolors, and watch how the white crayon magically resists the paint to create a beautiful negative space picture! This is also a really cool way to leave someone a secret message. Check out examples that this library did for some inspiration.